On 7 May Lusitania was nearing the end of her crossing, as she was scheduled to dock at the Prince's Landing Stage in Liverpool later that afternoon. She was running parallel to the south coast of Ireland, and was roughly 11 miles off the Old Head of Kinsale when the liner crossed in front of U-20 at 2:10 p.m. It was sheer chance that the liner became such a convenient target, since U-20 could hardly have caught the fast vessel otherwise. Schwieger, the commanding officer of the U-boat, gave the order to fire one torpedo, which struck Lusitania on the starboard bow, just beneath the wheelhouse. Moments later, a second explosion erupted from within Lusitania's hull where the torpedo had struck, and the ship began to founder in a much more rapid procession, with a prominent list to starboard. Almost immediately, the crew scrambled to launch the lifeboats but the conditions of the sinking made their usage extremely difficult, and in some cases impossible due to the ship's severe list. In all, only six out of 48 lifeboats were launched successfully, with several more overturning, splintering to pieces and breaking apart. Eighteen minutes after the torpedo struck, the bow struck the seabed while the stern was still above the surface, and in a manner similar to the sinking of Titanic three years earlier, the stern rose into the air and slid beneath the waves. Of the 1,959 passengers and crew aboard Lusitania at the time of the sinking, 1,195 lost their lives that afternoon in the waters of the Celtic Sea. Just as had been seen with Titanic, most of the casualties were from drowning or from hypothermia. 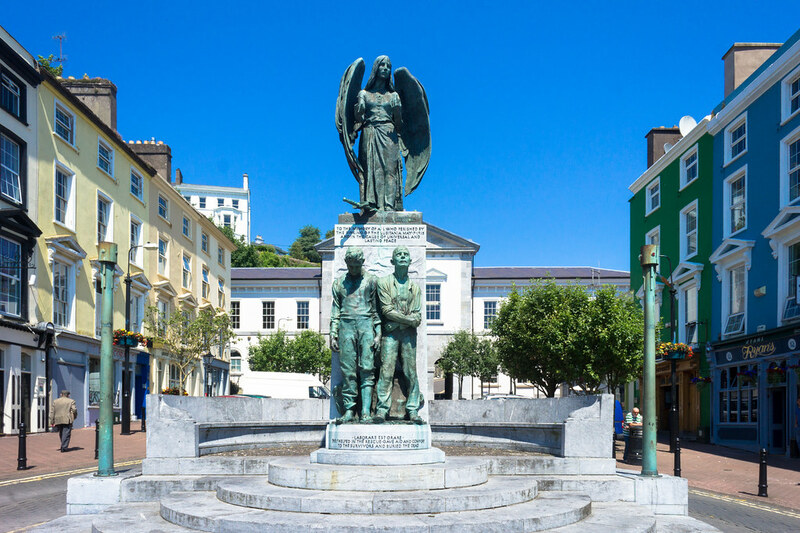 In the hours after the sinking, acts of heroism amongst both the survivors of the sinking and the Irish rescuers who had heard word of Lusitania's distress signals brought the survivor count to 764. By the following morning, news of the disaster had spread around the world. While most of those lost in the sinking were either British or Canadians, the loss of 128 Americans in the disaster, including American writer and publisher Elbert Hubbard, outraged some in the United States.